One in four Americans aged 45 and over take cholesterol-lowering statin drugs, despite the fact that the risks are very high, and “high” cholesterol is not always the enemy it’s made out to be. Statin drugs are effective in that they do lower cholesterol, but falling cholesterol levels do not necessarily equate with good health. Conventional medicine has been telling us that heart disease is due to elevated cholesterol levels and recommends lowering cholesterol levels as much as possible. So it may come as a shock to learn that having too little cholesterol is actually a verifiable risk to your health. Meanwhile, total cholesterol will tell you virtually nothing about your disease risk, unless it’s exceptionally elevated (above 330 or so, which would be suggestive of familial hypercholesterolemia, and is, in my view, about the only time a cholesterol-lowering drug would be appropriate). Cholesterol plays a critical role in your health, including within your cell membranes. Cholesterol is one of the molecules that allows for cellular interactions to take place. For example, cholesterol is the precursor to bile acids, so without sufficient amounts of cholesterol, your digestive system can be adversely affected. So the notion of using statin drugs as the go-to “preventive medicine” for heart health is not only misguided, it’s dangerous – especially amidst mounting research showing these drugs may actually make your heart health worse. A new finding was published in March 2015, and it is not yet widely known. However, if you’re taking a statin drug, or know someone who is, this information is incredibly important to your health. There were several physiological mechanisms discussed in the study that show how statin drugs may make your heart health worse; one being that they inhibit the synthesis of vitamin K2. Vitamin K2 protects your arteries from calcification. Without it, plaque levels worsen. Vitamin K2’s biological role is to help move calcium into the proper areas in your body, such as your bones and teeth. It also plays a role in removingcalcium from areas where it shouldn’t be, such as in your arteries and soft tissues. Mitochondrial damage: Statins are toxic to the energy centers of your cells, called mitochondria. They impair heart muscle mitochondria function, disrupt ATP production (adenosine triphosphate, the energy molecules of your body), and alter intracellular signaling proteins. 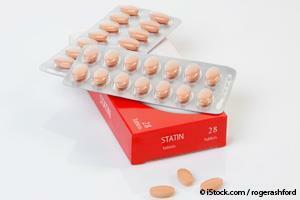 Did You Know Statins May Increase Your Risk of Diabetes? Increased insulin resistance contributes to chronic inflammation in your body, and inflammation is the hallmark of most diseases, including heart disease, which, ironically, is the primary reason for taking a cholesterol-reducing drug in the first place. It can also promote belly fat, high blood pressure, heart attacks, chronic fatigue,thyroid disruption, and diseases like Parkinson’s, Alzheimer’s, and cancer. Secondly, statins increase your diabetes risk by raising your blood sugar. When you eat a meal that contains starches and sugar, some of the excess sugar goes to your liver, which then stores it away as cholesterol and triglycerides. Statins work by preventing your liver from making cholesterol. As a result, your liver returns the sugar to your bloodstream, which raises your blood sugar levels. A 2010 meta-analysis of 13 statin trials, consisting of 91,140 participants, found that statin therapy was associated with a 9 percent increased risk for incident diabetes.8 Here, the number needed to harm was 255 over four years, meaning for every 255 people on the drug, one developed diabetes as a result of the drug in that period of time. In my opinion, virtually everyone needs to be very cautious in regard to taking statin drugs. However, if you have insulin resistance (have high blood pressure, high cholesterol, high blood pressure, or are overweight) then you need to be especially careful. You see, statin’s interference with vitamin K2 in your body could be incredibly damaging, since vitamin K2 is important for enhancing insulin sensitivity. Past research has also shown that vitamin K slowed the development of insulin resistance in elderly men,11 adding to the growing evidence that vitamin K has a potentially beneficial role in insulin metabolism. The fact that statins interfere with your body’s synthesis of this vitamin is likely one reason why they, in turn, may increase your diabetes risk. Insulin resistance is not only a precursor to type 2 diabetes but is also a risk factor in many other chronic diseases. If you decide to take a statin, a vitamin K2 supplement is highly recommended. MK-7 is the form you’ll want to look for in supplements; it’s extracted from the Japanese fermented soy product called natto. Professor Cees Vermeer, one of the world’s top vitamin K2 researchers, recommends between 45 mcg and 185 mcg daily for adults. You must use caution on the higher doses if you take anticoagulants, but if you are generally healthy and not on these types of medications, I suggest 150 mcg daily. You’ll also need to make sure you take CoQ10 or Ubiquinol (the reduced form) with it.Most are not told they need to take coenzyme Q10 to buffer against some of the most devastating side effects of statin drugs. As previously explained by Dr. Stephen Sinatra, a board-certified cardiologist, statins block not just cholesterol production pathways, but several other biochemical pathways as well, including CoQ10 and squalene—the latter of which Dr. Sinatra believes is essential in preventing breast cancer. Squalene reduction caused by the statin can also raise your risk of immune system dysfunction. The depletion of CoQ10 caused by the drug is why statins can increase your risk of acute heart failure as well. So if you’re taking a statin drug, you MUST take Coenzyme Q10 as a supplement. You cannot get enough of it through your diet. Another study evaluated the benefits of CoQ10 and selenium supplementation for patients with statin-associated myopathy.14Compared to those given a placebo, the treatment group experienced significantly less pain, decreased muscle weakness and cramps, and less fatigue. 1 3 6 Expert Rev Clin Pharmacol. 2015 Mar;8(2):189-99. 11 Diabetes Care. 2008 Nov;31(11):2092-6. 12 Expert Rev Clin Pharmacol. 2015 Mar;8(2):201-10.